His father was an investigator who was murdered. 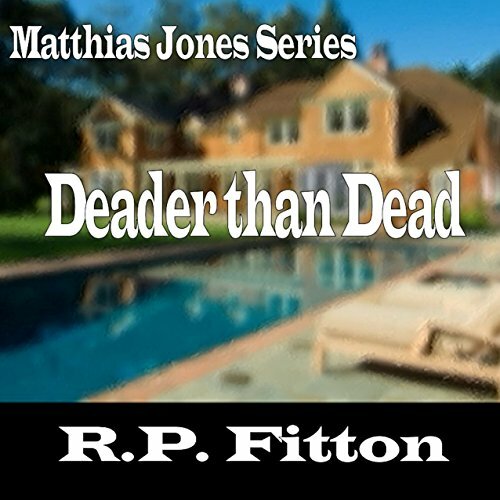 Matthias Jones became an athlete and coach, but he solved his father's murder. Hamilton College on the coast of New Hampshire hired him to coach sports, but getting into murder investigations remains his passion. He knows the cops and the district attorney Herbert Lane hates his guts. He's best buds with Cocoa Stefani, a major underworld character and a good friend of parish priest, Father Jim Gallagher. Jones's persistence gains him the upper hand over the cops and the DA - and the murderer. Hamilton Fletcher, leader in the town, industrialist, and patriarch, is murdered in his study. His money-grubbing daughter was on the Fletcher Estate in the carriage house. A gun-toting neighbor lurked in the shadows. The company controller may have wanted more power. And the fired groundskeeper was upset with him. Matthias Jones finds Hamilton dead at his computer with a mystery file called Jersey Imports on the screen. After being shot at on numerous occasions, threatened, and targeted for murder, Matthias Jones locates the accused. Of course the local yokels impede and help him solve the murder - all with much "lol".